Buying base products like foundation and concealer online is super hard so in occasion of the launch of the new Nabla Close Up concealer, I wanted to share a comprehensive comparison of all the concealers I own. So here we are with my concealer swatch comparisons, which doubles as my concealer collection. 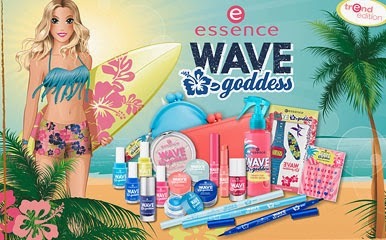 A new Essence limited edition is out and it’s all about beachy waves, colors from the sea and a lot of fun! I love lots of bits from the Essence permanent line and was immediately attracted to this collection. Soft Touch Eyeshadow (here): long lasting mousse eyeshadows in 4 colors, a peach and three blues. I swatched them in store and they weren’t very pigmented when blended out. 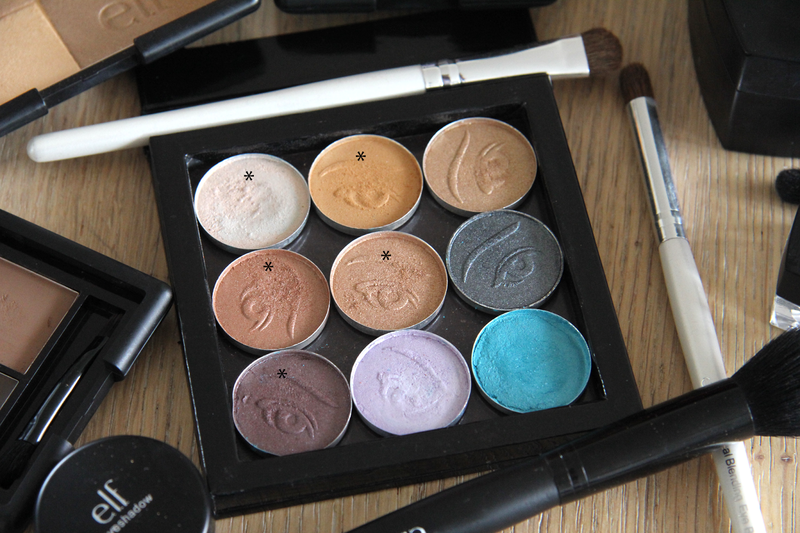 I think the lighter shades are perfect to add some shimmer to an eye look. 2in1 Liner (here): in 3 shades of blue these liners have a fine and a thick felt tip to create any look. I got the lightest shade to make some unorthodox winged liner. 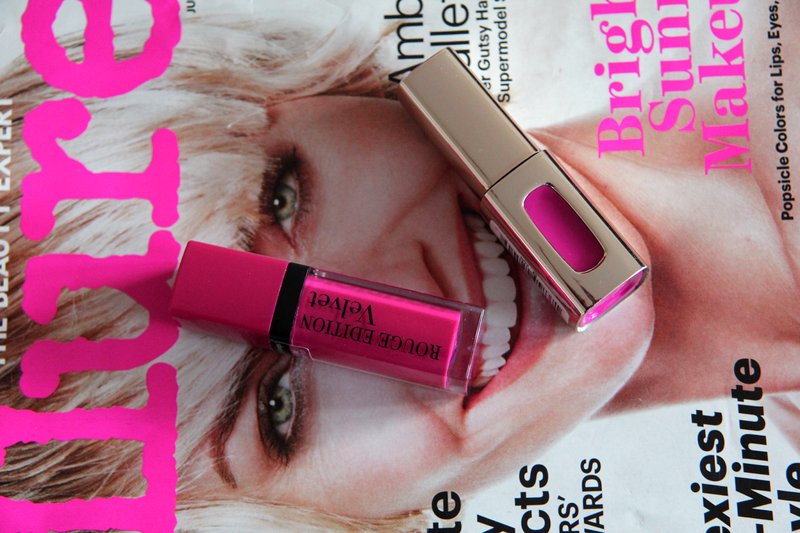 Tinted Lip Balm (here): comes in a peachy and a pinky shade. Nothing special, does what the name suggests. Blush tint (here): this comes in only 1 coral shade and has a gel-like consistency. It felt quite wet when swatched and didn’t have a great pigmentation. A pass for me. 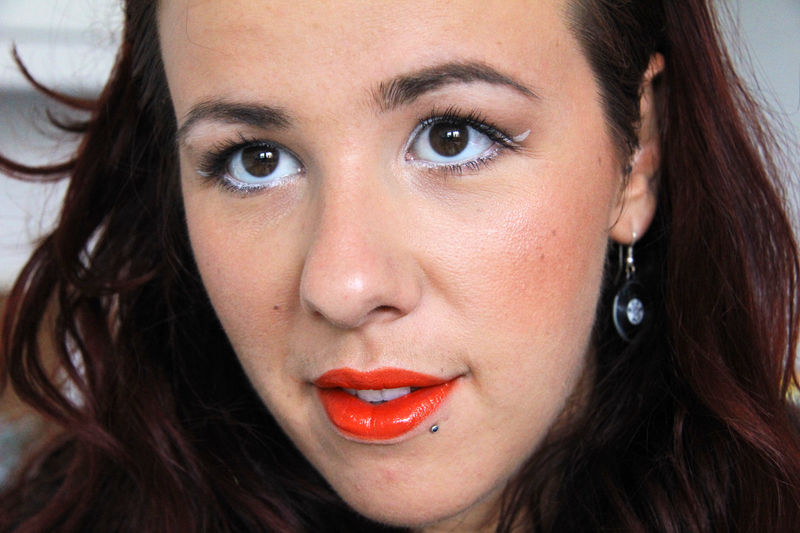 Highlighter (here): an apricot toned highlighter, it looked great and swatched very nicely. I have way to many already so didn’t pick it up. Nail polish (here): comes in two blue shades, a lime yellow and a bright pink and each of them has a silicone ring to wear at the beach. A nice one for the younger ones among us. Essence nail polishes are great quality for the price and I recommend them. Body Tattoos (here): temporary tattoos with a surfing/caraibic theme, can be removed with water and soap. Beach Hair Waves Spray (here): a was sold out atsea salt spray to get that messy beachy look (which I love here). It was sold out at the moment, but I’d love to try it out. Sun glass case (here): it’s neon orange and made of silicone, you definitely won’t be losing it on the beach! This limited edition collection from Essence is available in the drugstore from the month of July. Here in the Netherlands you can find it at Kruidvat. Here is my face of the day using the 2in1 liner in 03 Stand up and paddle. I loved the idea and the color of the liner but I found it so difficult to apply. It went on patchy and the tip dried out before I was done with one eye (!!!!). Another bad news is that they transferred on my upper lid, which doesn’t normally happen with my other liners, but i guess I just need to let it dry longer. Sigh. I am not so happy. The staying power is good and it stayed on all day without flaking or fading. Did you try anything from this collection? Beachy waves seem to be everywhere again with stars showing effortless messy manes that look like they just came back from the poolside. And I get jealous so I went to get myself the new L’Oreal Studio Line Wave creating Spray and give these expensive salt-water combinations a go. Boy was I surprise!!! You spray this in towel dried hair, twirl the hair around your fingers and scrunch it a bit and you’re done! Whether you let your hair air dry (which is what I do) or you use a blowdrier, you end up with beautiful messy waves that didn’t take hours do do! Amazing I tell you!! 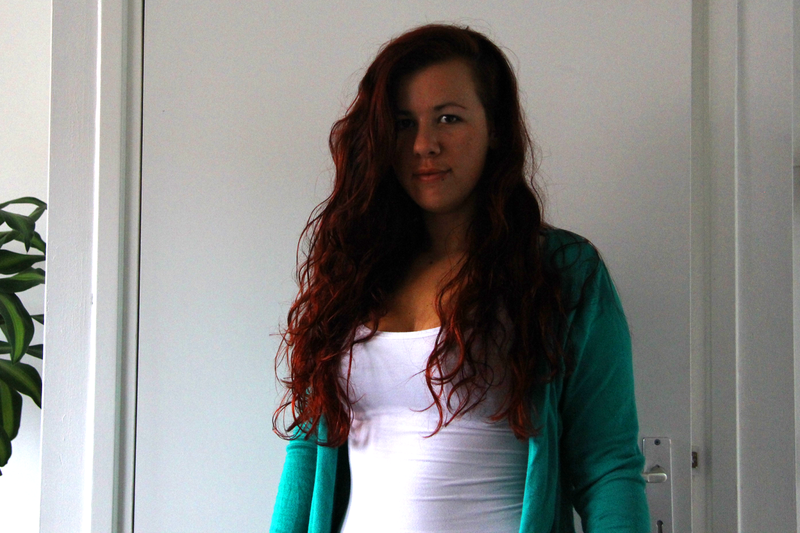 Just check out the photo below and excuse the total absence of makeup, it was a “give your skin to breath” day. Looking at the ingredients, the magic seems to come from the dispersion of magnesium sulfate (the powder climbers use on their hands) in water that works as texturizing micro-powder. It works with the same principle as the powders used to give volume to the roots like the famous Osis Dust It mattifying powder. 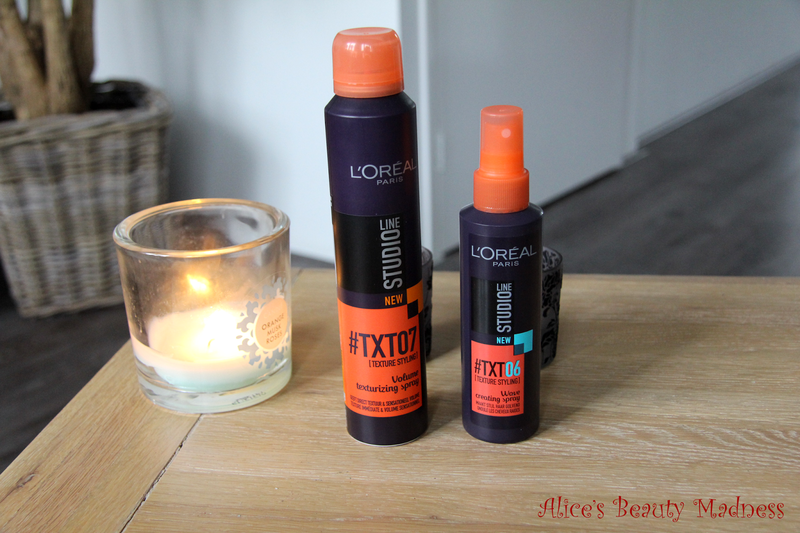 In the same line they had also the L’Oreal Studio Line Volume Texturizing Spray which is instead a product to use on dry hair from roots to tips to give overall volume and texture to the hair. Another great product, however I don’t use it on my roots because I don’t like the feeling of product there. Again the magic comes from the calcium carbonate in the aerosol that clings to the hair. So I finally found hair styling products that I love and use often!! Have you tried any of these salt sprays? What do you think about them? Health City’s XCO workout with my fav instructor Joyce! Last week in Part 1 (here) I explained a bit my weight loss attempts, my new resolutions and a useful tool to keep the eating in check. But things don’t happen overnight and a healthy diet alone won’t get me where I’d like to be. The trick is always to combine eating responsibly and working out! In the end you weight loss depends on (calories in – calories out) so the more you workout, the more calories you consume! Simple math isn’t it?! I work out 2 times a week at least and prefer working out in an aerobic class and am a regular at the XCO lessons in my gym Health City. XCO is a great workout that focuses on working on the core muscles such as abs and back without forgetting arms and legs. I love the fact that you can tune the intensity by using different XCOs (heavier or lighter). This keeps me moving and trains my muscles with music, getting me to burn approximately 460 kcal per lesson. I track the calories with a heart rate belt from Polar (here) in combination with my Nike+ app on my Ipod Nano (here). This combination is also very useful on those days when i go running, aka when the weather and my knee allow it. I use the pedometer that comes with Nike+ and the app on my phone and Ipod to track speed and heart rate and trail. 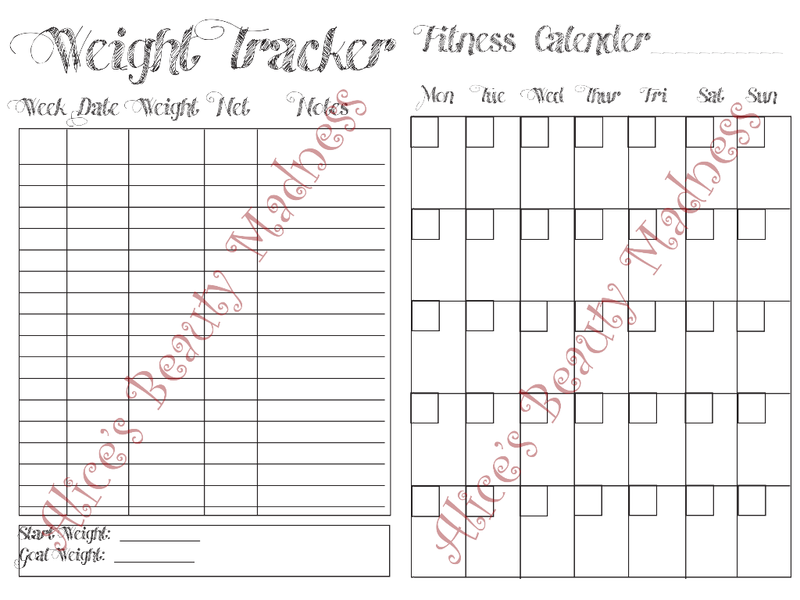 A new addition to my life is the Weight and Fitness tracker section of my planner. I designed it myself and am extremely happy with it! Here I record my weight every day and how I felt that day (hungry, low on energy, etc.) and then on a monthly sheet I write down when I worked out, what I did and how many calories I burned. I just started this method and I might be a bit obsessed, but these things make me happy and it is really helping me to keep motivated and moving. I also decided to start a reward system, giving myself the permission to buy one high end item each time I reach one of my weight goals. Next goal is going to get me Lady Danger lipstick from MAC! Update week 2: Lost 2.2 kg and not starving myself at all!!! I am really happy and impressed with my own will power. Hopefully I’ll behave well next week when I’m home alone every evening. Fingers crossed!!! Do you use any tracking system? What is your favorite workout? Summer is a bit slow here in The Netherlands and we’ve been under pouring rain for the past few days, sigh. But in two weeks I’m leaving for holiday in Italy, so my summer mode is on! One of my favorite parts of my makeup routine in summer is bronzer. It makes such a difference by giving color and dimension to the face, leaving you looking healthier and more radiant. In summer I abandon any contouring and apply bronzer all over my face where the sun naturally hits: cheeks and forehead mainly and lightly on the bridge of the nose and chin (we still want that highlighted center of the face). This means that I abandon those matte cool toned bronzers I use in winter for contouring, in favor of warmer and slightly sheeny shades. My absolute favorite of all time and go to bronzer is The Body Shop Brush on Bronzing Pearls (18.50€ here). This was an impulse buy at an event and I was a bit skeptical to how much I’d use it because of the shimmer, but I am totally in love with the golden sheen it gives the skin, looking natural and glowing at the same time! It is my everyday pick, I had it on here. I obtain a very similar effect with the E.l.f. Golden Bronzer (4€ here) even though the application is slightly more powdery, you can see it in action here. 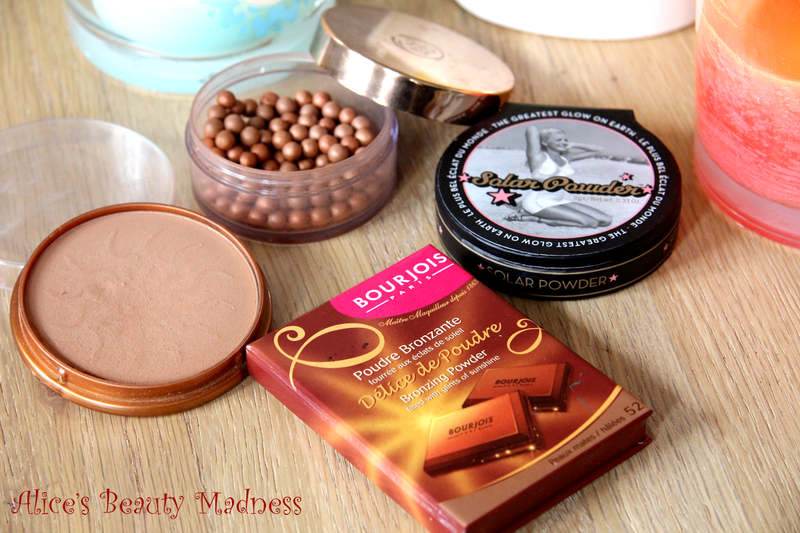 Another amazing one is the Bourjois Bronzing Powder (10€ here), it contains the smallest gold shimmer and smells and looks like chocolate. Paradise! 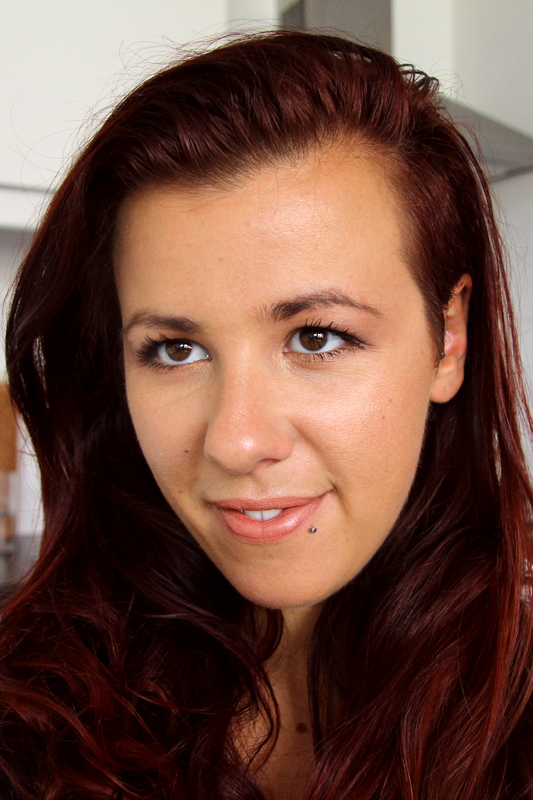 An oldie but a goodie is the Rimmel Natural Bronzer (7€ here). This is a matte bronzer that you can never go wrong with. Never too orange, never looks muddy and is inexpensive. The last addition to my collection is the Soap & Glory Sun Powder (11£ here). This is a beautiful duo with a darker bronzing shade and a lighter golden highlighter, which you can use separately or swirl them together depending on what you feel that day. 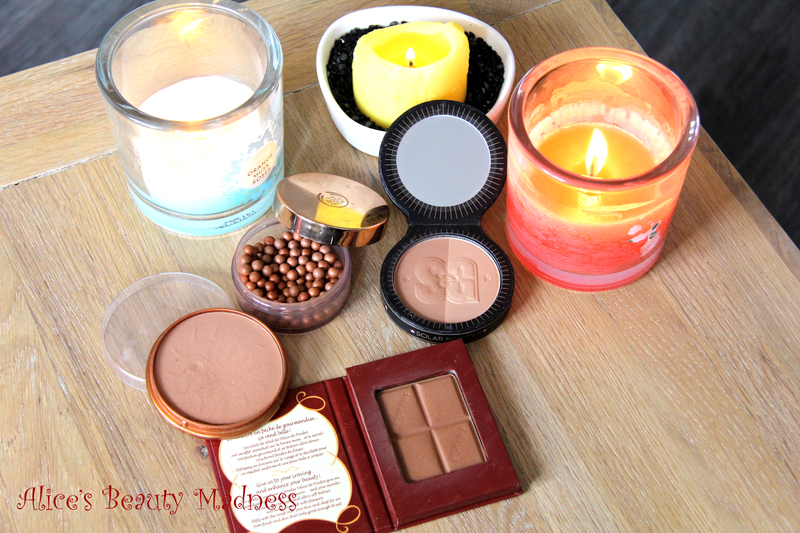 Do you use bronzers in summer? Which one is your favorite? Let me know below so I can go check it out!! Today a bit of a different topic here on the blog. As on Monday I decided to make some changes in my life and wanted to share them with you. We’re talking a bit of diet and calorie tracking! Starting with a bit of history, I’ve been “round on the edges” for my whole life, more or less. As a kid I used to be bullied for being chubby and it took me the best of my teens to accept my body and realize it wasn’t a monstrosity. Getting over my some of my issues didn’t change the fact that since I was 17 years old I’ve been on and off diets, seeing nutritionists and seeing kilos come and go like the tide. Even when diets went well and I had reached a weight I was happy with, my body just wouldn’t stay on it and to keep the kilos off I had to struggle constantly, which on the long run was just not possible. Ever since I have accepted that I will never be a skinny girl. I will always have my curves and some cushions here and there and I actually think that they make me more beautiful and unique. Small parenthesis on what I eat. 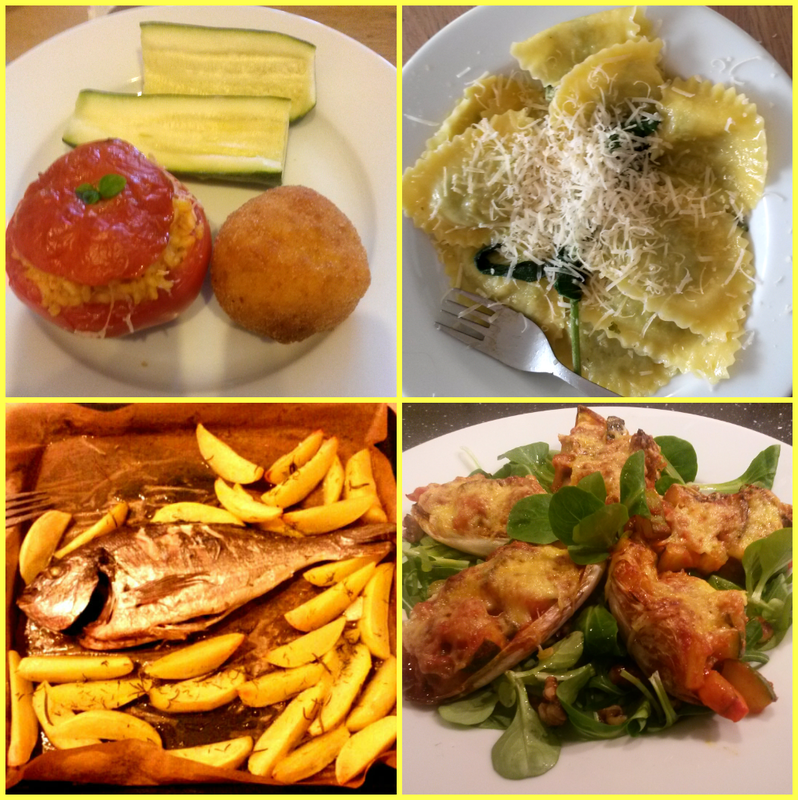 I love cooking and I am italian so most of what I eat is healthy and rich in all the good things. However, I have a problem with portions, aka I cannot control how much I eat until it’s too much and I’m almost sick from how full I am. This means that if I don;t pay attention to what I eat. I will just pile up kilos on kilos without even noticing. This is exactly what happened in this last period of time, being very busy and dealing with stuff right and left, I let myself slip and realized I got a bit too chubby for my taste. So I decided to make a move and try to get to a more healthy weight. Now the trick for me has always been to have numbers to follow! If I can have 60 grams of pasta, that is what is going on my plate, if I make more, I’ll eat it all! 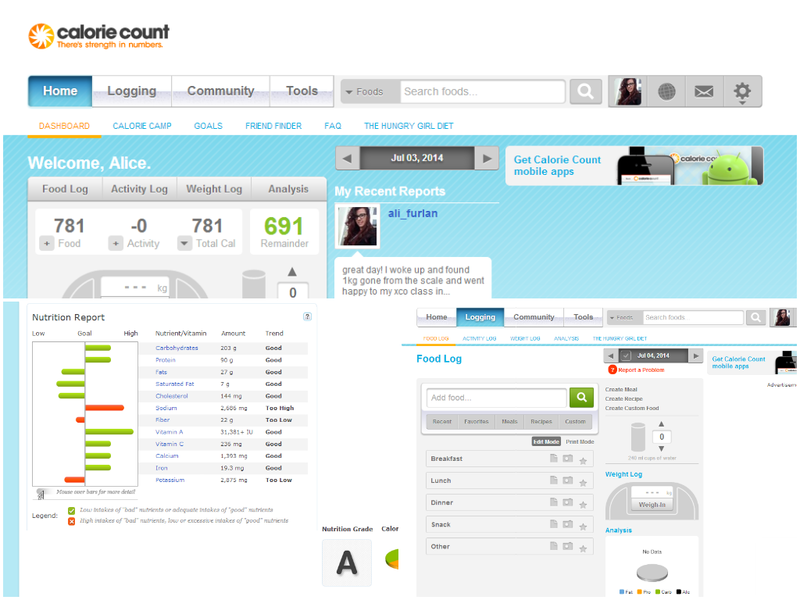 To keep myself in check and make sure I’m not over eating, I turned to a calorie tracker website called Calorie Counter. This is free and contains the nutrition values for most foods, which is very convenient, because I personally don’t know how many calories, sugars and vitamins a carrot contains. If you cannot find something in their database, you can manually add it and even create your own recipes by assembling the ingredients and portions. Every day I log my weight, what and how much I eat and the calories burned doing sports and at the end of the day I can Check on my analysis board how well I did in balancing carbs, proteins and fats and if I reached my daily intake of vitamins and nutrients. It’s been 5 days now of weighing everything that goes in my plate and logging it, I am happily seeing the kilo count going down. The best part is that I feel my stomach shrinking and demanding less food which is a big deal because it means I feel full without going through 3 portions of food each meal. Great success! I hop to keep this up until I leave for holidays in 3 weeks and loose another 2kg on the way. I am realistic and don’t expect to be able to log my food while on vacation, but I will then start again from when I left off as I return to Eindhoven and hopefully have lost a good 5-7 kg by my birthday in October. Optimistic but I want to succeed! Stay tuned next week for part 2 of this fresh start where I go through my fitness routine and resolutions! Wish me luck! Do you have any tips and tricks up your sleeve? An extra post today from the regular schedule, but i bet you’ll like it!! Together with a few bloggers from The Beauty Blogger Bunch we’re hosting a giveaway and you’ll have the chance to win a 100$ Sephora gift card. What you have to do is enter the Rafflecopter by following the lovely ladies who are hosting the giveaway to make chance of winning! Btw, you should not only follow them because of the giveaway, but their blogs are really good! A small note and good news for those of you who live in The Netherlands and the UK, Sephora ships to us as well!!! So this is a great opportunity to get all those bits you cannot find in your department stores. 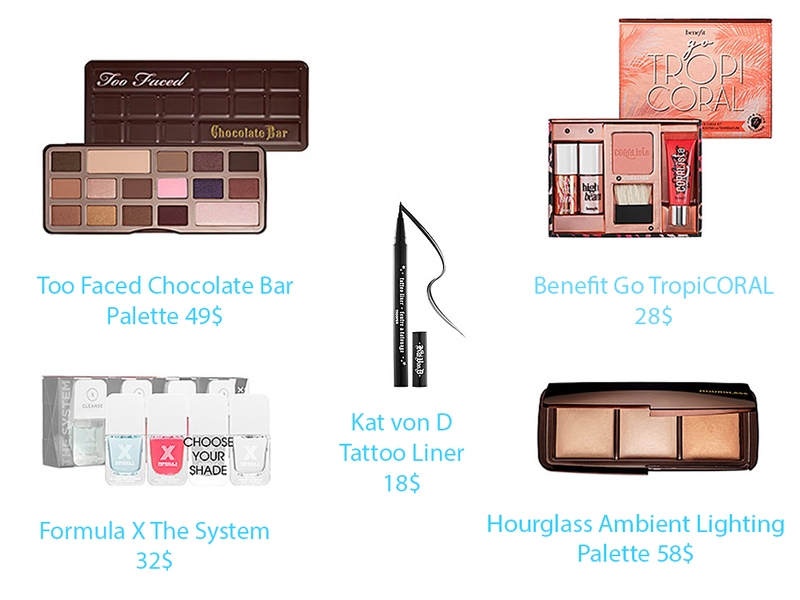 With that thought in mind, I complied a wishlist of the products I’d buy at Sephora! I limited myself to 5 products and I definitely went over the 100$ mark, but hey I tried my best. This was a good moment for it also because I’m going back to Italy in a couple of weeks on holiday (sooo excited to see my family, friends and beach again!!!) and I might or might not pick up something in Sephora when I’m there. Too Faced Chocolate Bar Palette (49$): I’ve eyed this palette since it launched and I am still obsessed! I’ll have it someday! Benefit Go TropiCORAL Lip & Cheek Tint (28$): this set contains mini sizes of their beautiful coraly products such as Chacha Tint, Coralista blush, HighBeam liquid highlighter and Ultra Plush Coralista gloss. I’ve wanted to get the first two for the longest time and this is a good value for what you get! Formula X The System (32$): these nail polishes are having a great hype lately and I’ve been dying to try them! This set comes with a Nail Cleanser, Base Coat, Top Coat and a nail polish color of choice. Hourglass Ambient Lighting Palette (58$): these three finishing powders will give you a flawless complexion and set your makeup. They’re super hyped in the blogosphere and I’ve wanted to try it for a while! Kat von D Tattoo Liner (18$): I’ve loved Kat’s style since back at Miami Inc and I’ve been dying to try something from her makeup line and I am always looking for a good liner that won’t melt or budge. So here is what I would get in Sephora. Any other recommendation from you guys? On this grey summer day I wanted to share with you a look I made using all e.l.f. (Eyes Lips Face) products. Some are new finds and some are all time favorites. 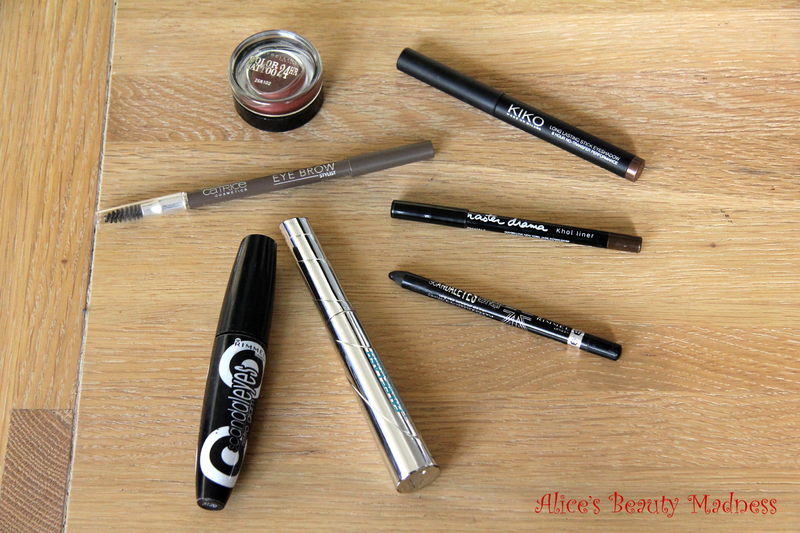 A quick word on how inexpensive and good quality a lot of these products are! And an even quicker not to how horrible my eyebrows look, I need to get them done, urgently!!! Elf Eyebrow kit in Medium (here): a wax and a powder, amazing! Don’t take my brow as an exaple today, I really need to get them threaded! sigh! 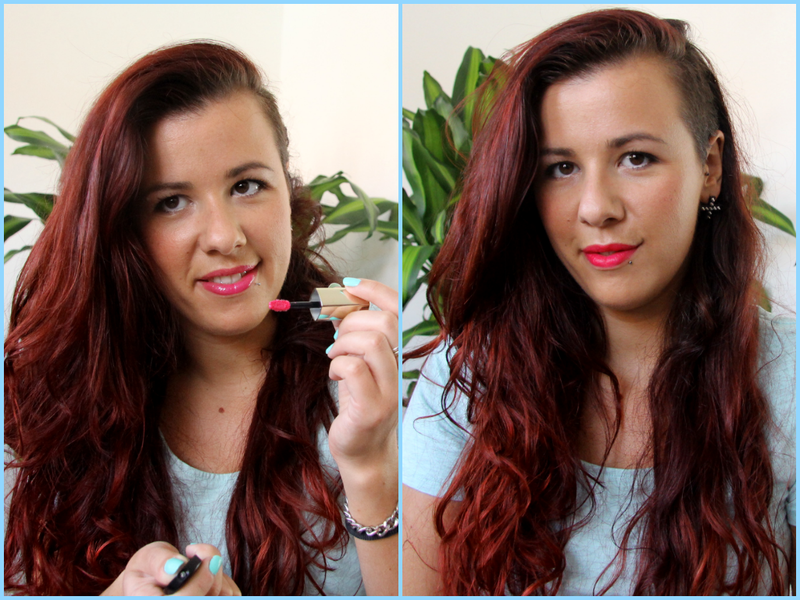 Elf Eyelid Primer (here): one of the best eyeshadow primers I’ve tried AND for 1€! Unbeatable! Elf Eyeshadow Pan in Mocha (all over the lid), Golden Glow (middle of the lid and lower lash line), Pink Ice (inner corner highlight), Aubergine (outer V and liner) (here): these eyeshadow pans are only 1€ and they are so good for the price! There is a bit of fall out but they blend great! Elf Eyeshadow Brush (here), Contour Brush (here) and Blending Eye Brush (here): these brushes are great!!! MAC Face and Body: I don’t have an elf base so i used this foundation which I adore, but I feel like it’s breaking me out, so i use it sparingly. 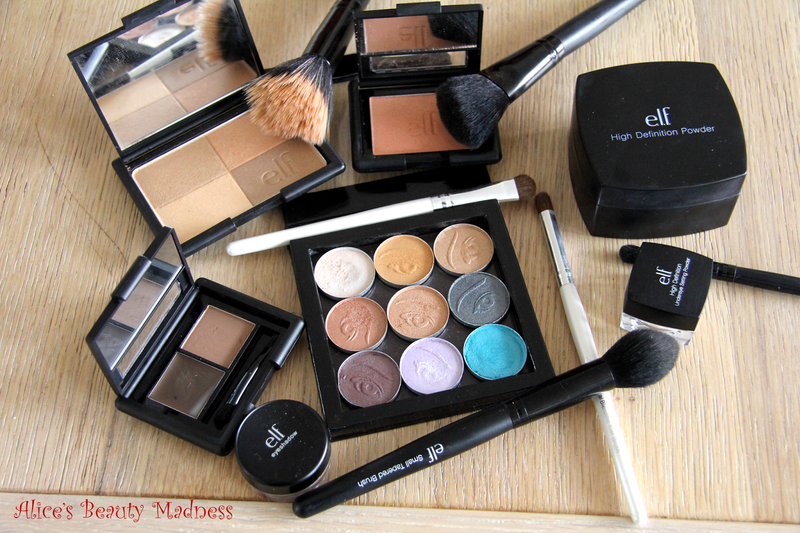 Elf High Definition Powder (here): the bigger sister of the undereye powder without any sheen, great setting powder! Elf Angled Blush Brush (here): my favorite and only blush brush ever! I own 2 and could not go without! I love e.l.f. products and own a bunch of them thanks to the wallet-friendly prices. 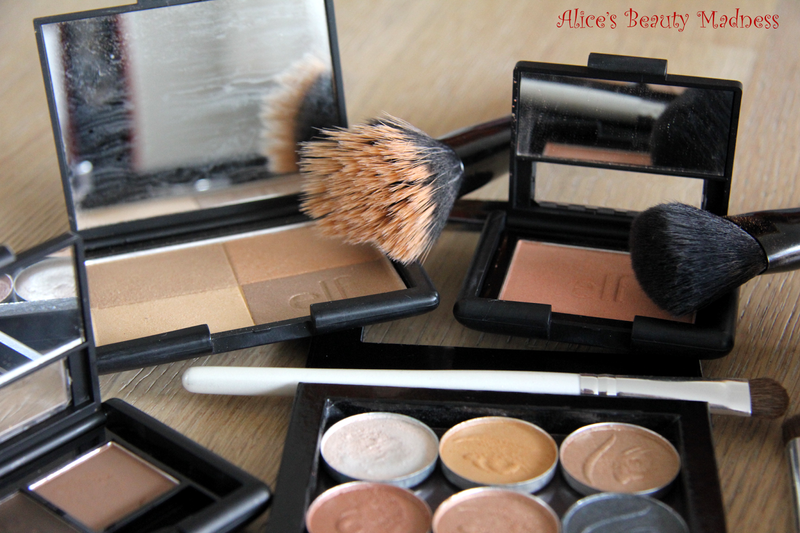 My favorites have to be the Studio brushes, blushes and eyebrow kit! Do you know the brand? Which is your favorite product? 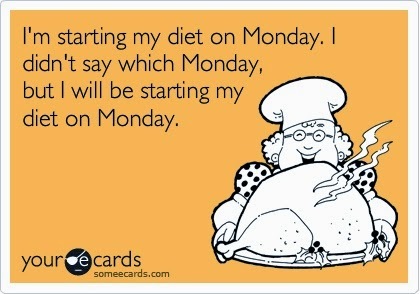 Today for a Sunday dilemma! I love myself an easy going “simple eyes and bold lips” kind of look, especially if I only need to go to town to shop a bit and run errands. I am one for liquid lipsticks and I have decided on going for a fuchsia, but now here is the dilemma: matte or glossy? The products at hand are the L’Oréal Caresse Extraordinaire in Fuchsia Drama and the Bourjois Rouge Edition Velvet in Olé Flamingo. The L’Oréal Extraordinaire is a very smooth and non sticky gloss with amazing pigmentation that puts it up there with all the liquid lipsticks. The color is a very purpley-blue toned fuchsia and it lasts on my around 4 hours. On the other hand the Bourjois Rouge Edition Velvet is a matte and long lasting liquid lipstick. It goes on super smooth and once it’s dry it doesn’t move for 6 to 8 hours for me! Very difficult choice!! Sorry for my absence the past few days, I was headbanging away at Hellfest in France and then dealing with the consequences. 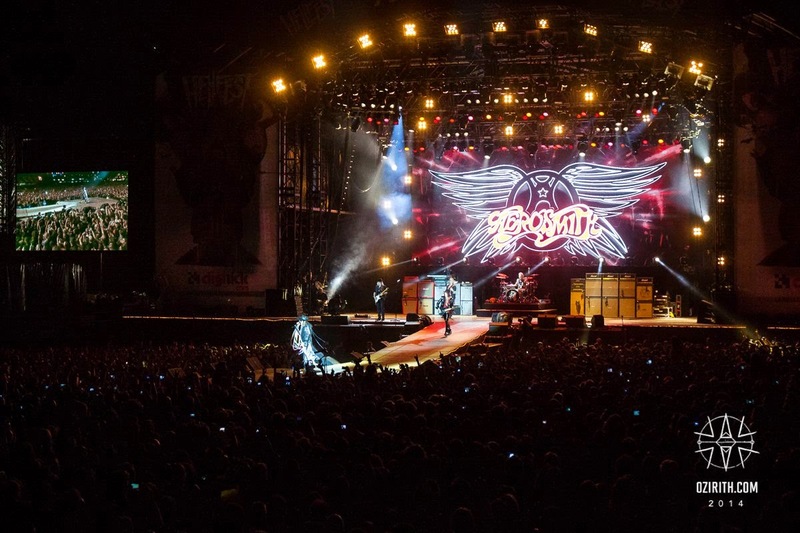 Some of my favorite bands were playing (Iron Maiden, Black Sabbath, Deep Purple and many more) and I had an amazing time! We were blessed with very warm and sunny weather which transformed the terrain in a huge sand box and meant a lot of SPF and sweating involved. 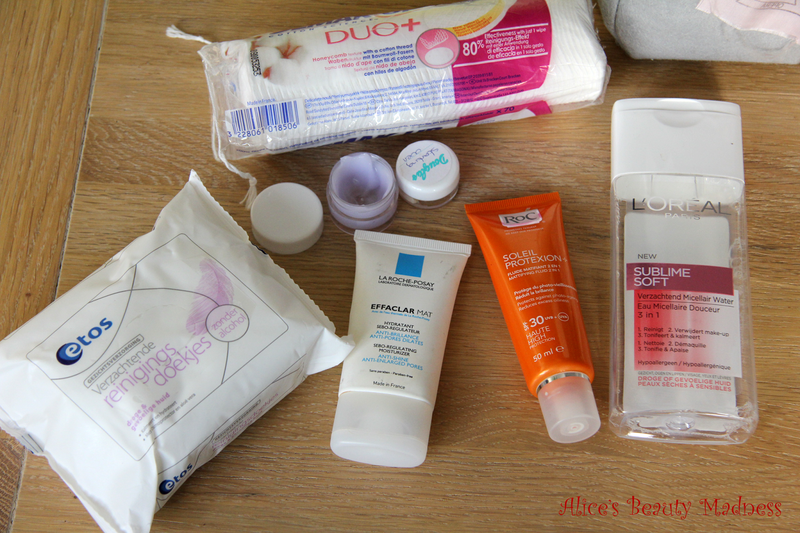 I thought it would be nice to share with you the beauty bits I brought with me to the festival. We were staying 5 days camping with limited access to running water, so for cleansing I had to rely on makeup remover wipes and my L’Oréal Micellar water with some cotton pads. To be honest after the second day my skin started missing my usual double cleanse and targeted purifying cleanser by breaking out on my chin, grrrr! I left home serums and such and only brought with me a sample size of the Origins Starting Over eye cream, my Effaclar Mat and a my night cream in a travel pot. Of course spending all that time outside in the sun I couldn’t go without my beloved ROC Soleil Protexion+ Mattifying SPF 30 (review here). To be honest I had to strip down my stash a bit too much for my liking especially on the cleansing and night time part and was very happy when I could go back to my routine and a clay mask the evening we got home. In the makeup department I chose to bring only a few pieces. Taking into account the warm weather, dust, jumping, 15h days, I decided not to wear any face makeup and concentrate only on the eyes. I picked water and sweat proof products in grungy/rock colors such as the Maybelline Color Tattoo in Metallic Pomegranate (here), Kiko Long Lasting Stick Eyeshadow in Golden Brown (here), Maybelline Master Drama Kohl liner in Dark Brown and the Rimmel Scandaleues Liner in Black. For mascara I couldn’t leave my magic duo at home: Rimmel Scandaleyes Retro Glam and L’Oréal False Lash Telescopic Waterproof. Finally, I feel absolutely un-presentable without my brows done, so I had my Catrice Eye Brow Stylist in 040 Don’t Let me Brow’n. This was all I brought in my vanity bag, and still my friends thought I wasn’t in my right mind wearing makeup at a festival, but what can I say, I’m obsessed! All in all, I had a blast and didn’t really bother bringing a mirror for touch ups on the terrain hihihih. 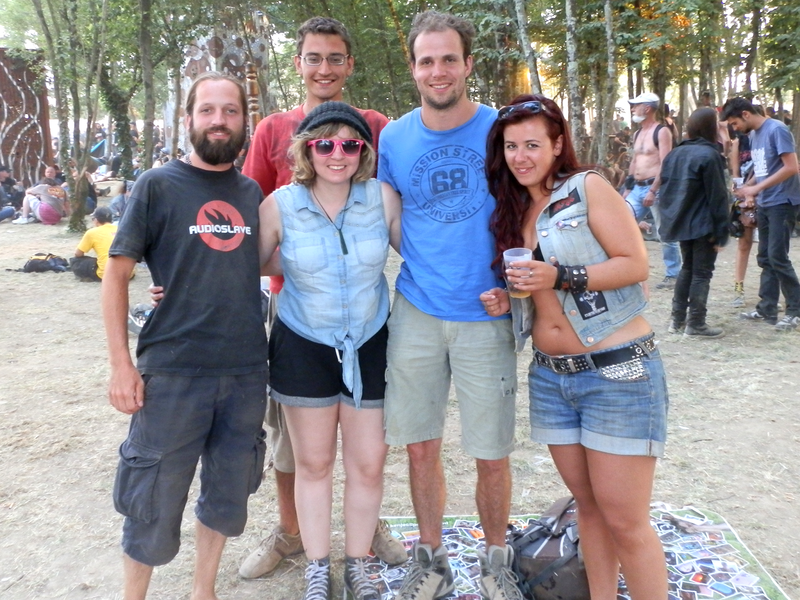 What do you bring along at festivals? Do you wear any makeup?